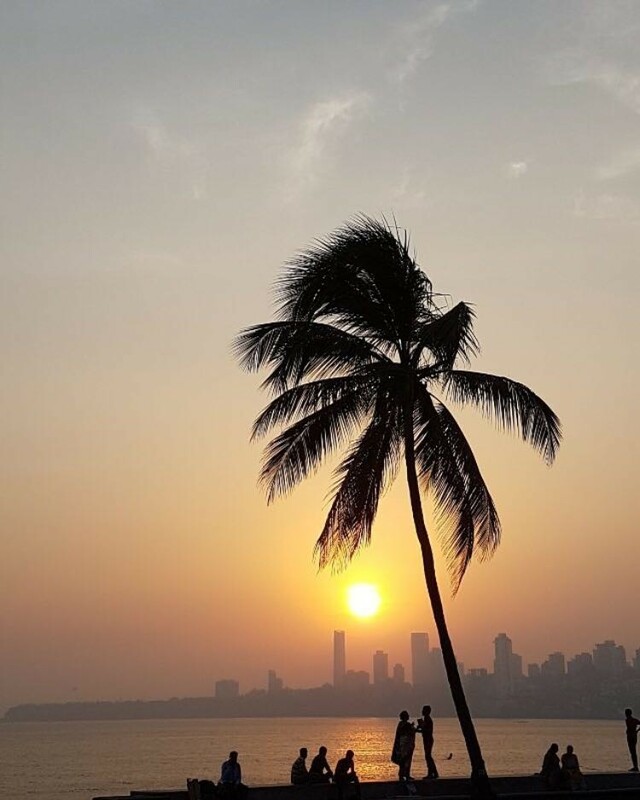 A fellow sunset fan shares her favorite place to catch a sunset as she discusses India’s Queen Necklace and the Mumbai Sunset…. 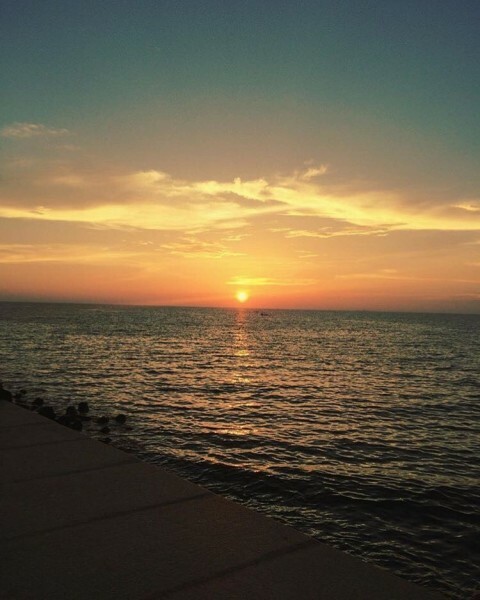 Watching sunsets can bring sense of calmness and joy to me. Every place has its own charming sunset yet the sunsets near beaches are unbeatable for me. 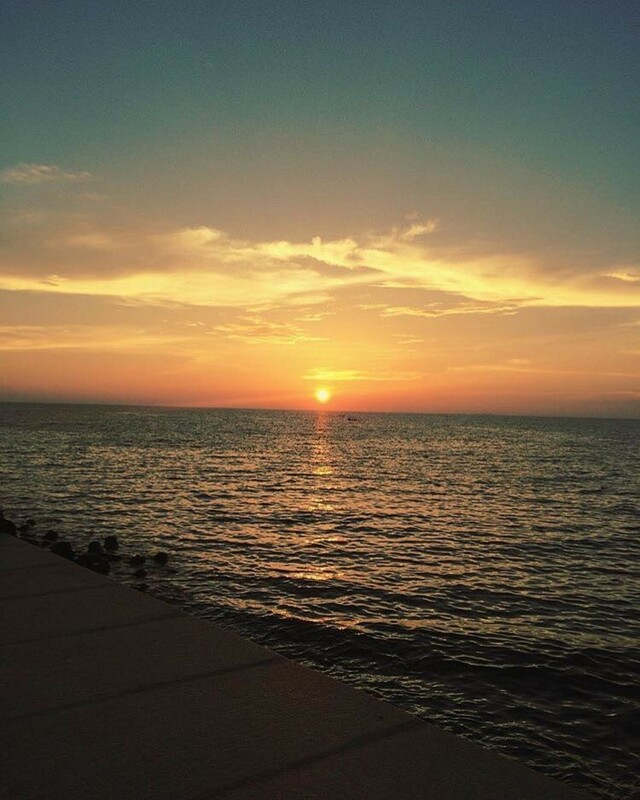 When traveling I make sure to check out sunsets and make sure I take a photo of the moment. I have many, but my favorite has always been sunset in Mumbai on Marine Drive. Marine Drive, a popular hangout destination during the dusk time, is the city’s perfect place to watch the sunset. On every trip, it seems mesmerize me and calm me down with its beauty and magic. It starts with a breath of fresh air coupled with the sounds and smells of the ocean. The impressive lights up in evenings when the sun is about to set. The walkway takes on the nickname “Queen’s Necklace” because all the street lights resemble a string of a pearls made into a necklace from the sea. Also, (travel tip) make sure you arrive early in order to best indulge in long strolls at dusk watching the sunset colors illuminate the horizon and skyline. The experience is one not to miss when one travels to Mumbai. Lysha works at Lalco Residency – Service Apartments In Andheri West and loves her job working with clients and showcasing her hospitality skills. Follow her on the twitter account @lalcoresidency to learn more about Mumbai.